Zone 5 is one of 13 USDA Hardiness Zones (United States Department of Agriculture). Each zone is divided into two subsets. Zone 5 subsets are 5a and 5b. The zone designations can aid you in selecting plants that will survive each zone's cold temperatures. Each zone is determined by the average minimum winter temperatures of each. The temperatures for each zone are separated by a difference of 10°F. Zone 5 is 10° colder than Zone 6. Zone 4 is 10° colder than Zone 5 and so on. Zone 5: The minimum average range of temperatures is -10° to -20°F. Zone 5a: This subzone has a minimum average temperature of -15° to -20° F.
Zone 5b: This subzone has a minimum average temperature of -10° to -15°F. The temperatures can drop below the average minimums due to unusual weather patterns. In 2012, USDA (United States Department of Agriculture) updated the 1990 hardiness zone with a 5°F half-zone increase. This change is possibly due to better mapping technology along with greater participation in data sharing by weather stations. There are 32 states in Zone 5. States have more than one hardiness zone due to climate conditions and topography. For example, there are four zones in Wyoming. The majority of vegetables can be grown in Zone 5. This zone is considered a medium growing season, but is shorter than higher numbered zones. Many vegetables can reach maturation before the first frost. The last frost date is typically May 15. The first frost date is October 15. It's important that Zone 5 growers keep up with temperature changes, especially frost warnings. A frost date app is an excellent gardening tool for short growing seasons, so you receive information for your zip code about frost warnings. You can increase the growing timeframe with such things as raised beds that keep the soil warmer than field crops. 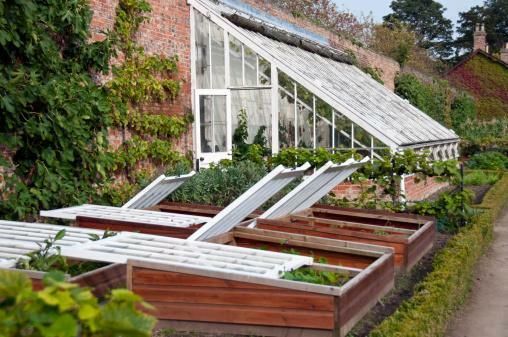 You can also use hoop tunnels over raised beds/rows or plant inside cold frames. 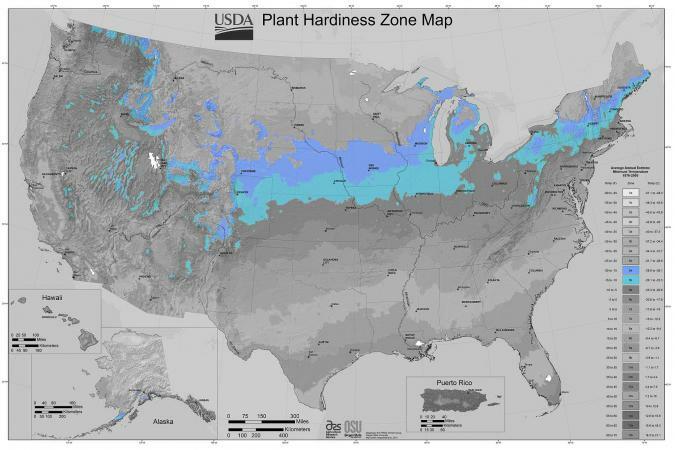 The hardiness zone map is a valuable tool for growing the plants best suited for your region. There's a wide variety of Zone 5 vegetables, fruits, nuts and other plant life you can grow. Some of Zone 5 fruit tree varieties include Harrow Delight pear, Warren plum, Pink Lady apple and native Pawpaw trees. Vegetables include beans, beets, corn, cucumbers, tomatoes and most vegetables. Nut trees ideal for Zone 5 include walnuts, chestnuts, hazelnut and hickory nuts. 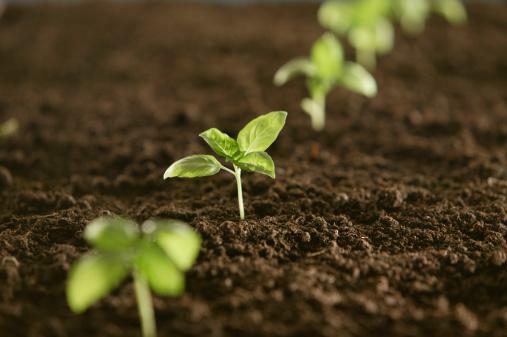 Start seeds indoors at least six weeks before the last frost date or sooner. Check the zone and days on vegetable, herb and flower seed packets and plant containers. The days represent the maturation time from seed sowing to harvesting or flower blooming. Use this information to plan your garden. The designated USDA Hardiness Zone Map uses the low temperatures to divide the country into various zones. The zones are meant to guide you in selecting suitable plant life for your climate. However, the zone map doesn't include valuable growing information, such as microclimates, droughts, rainfall, soil conditions/fertility and unusual weather patterns. This information is available in The New Western Garden Book. The gardening timeframe in Zone 5 can be augmented by various season extenders. By using these and other tools, you can grow all kinds of trees, flower, vegetables and other plants.